The following comments about attractions in Monte Carlo have been posted from individuals. We believe that the best reviews of Monte Carlo, Monaco are written by travellers and holiday makers who have experienced Monte Carlo first hand and want to share their thoughts. Can you share yours? 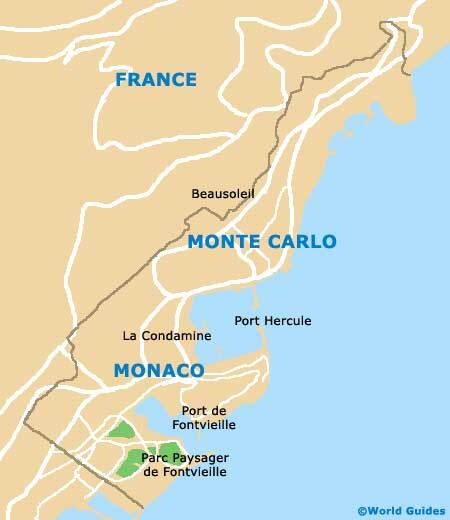 Please help us expand this section of our Monte Carlo World Guide. Let us know what you think about the attractions in Monte Carlo, Monaco. Submit comments about Monte Carlo attractions here. Don't forget about the harbour though. No trip to Monaco would be complete without visiting that either. Come during the F1 Grand Prix week and it's harder not to see a celebrity than it is to spot one. Posted on 19/5/2011 by Reece W.
Even if you're gambling or not, I think that no visit to Monaco is complete without some time spent in Casino Square. The setting of numerous movies and the playground of the rich and famous among other things. Some great photo moments. Nowhere near as high-profile but a night out everyone can enjoy is at La Note Blue or Jimmy'z. Both have quality music playing but be sure to dress smart for both of them because they have notoriously picky doormen. I think that the Monte Carlo epitomises all the kind of glamour that makes Monaco so famous. It may sound like a typical thing to say but even if you're not gambling you can enjoy this. My wife never spent a penny on gambling, but she loved just soaking up the atmosphere in there while admiring such a splendid marble and bronze structure. There was clean water and sand at Larvotto Beach and we started the day off there more or less every morning before deciding what to do. Never too packed but not too desolate either. Don't have to pay a cracker to get onto it either.